perfect haven of relaxation to return to after exciting days of exploration. Situated on the eastern coast of the peninsula, Masseria La Gresca occupies an exceptionally beautiful position between Santa Cesarea Terme and Castro Marina, known as the “Pearl of Salento”. This characteristic farmhouse is the ideal solution for a sea holiday and for exploring the main attractions in the area. Recently refurbished after years of abandonment, La Gresca has managed to preserve its centuries’ old fascination as a place of slow rhythms and peace. Tall, sturdy walls encircle the masseria, which blends in perfectly with the splendid verdant greenery of the countryside. Service, unobtrusive and impeccable, ensures the peace and quiet much appreciated by guests. 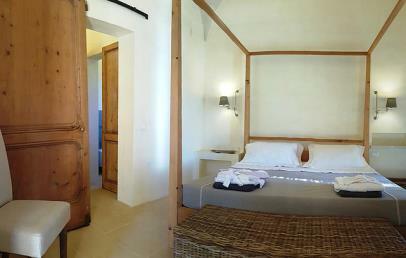 The six rooms of Masseria La Gresca are simple but stylish; every detail contributes to ensure a comfortable ambience: the choice of furnishings and materials, the distribution of spaces, the luminosity. Each room has orthopaedic mattresses and double pillows, LCD TV, safety box laptop-size, minibar, tea and instant coffee sets, hairdryer and complimentary toiletries. Breakfast offers an international buffet, including many local products, fresh fruit and a wide choice of fruit juices and hot drinks. Each morning the light lunch menu is posted, together with the dinner menu, which offers fresh fish, local specialities and products from the farmhouse, in a simple interpretation of classic Salento recipes. Guests have free access to the pool and common areas. Included in the price are pool and beach towels, Wi-Fi connection and the use of bicycles. Services available with a supplement: massages in room, babysitting, transfer to/from the airport, guided tours and boat trips. Spacious and simple furnished double rooms, decorated with soft colours and fine materials, all go to produce a unique ambience. Each room has different peculiarities and are comfortable. They have all a nice private external area under the shadow of the flourishing vegetation. Upon reservation, personalized wellness treatments available in room. 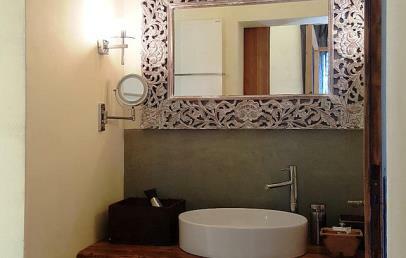 Comfortable double rooms with simple furnishings, soft colours and fine materials all go to produce a stylish ambience. 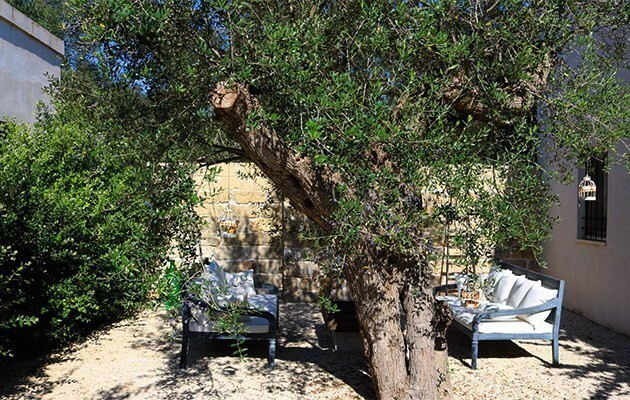 They are cosy with a splendid view over the olive grove or the nice garden of the masseria. A large suite consisting of a double bedroom and separate lounge. 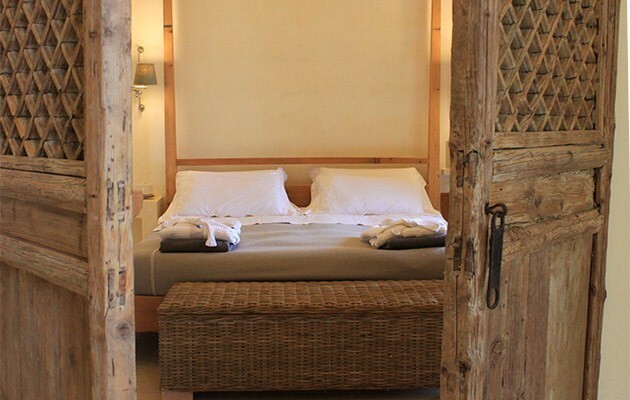 It has a wooden canopy double bed and a charming private garden, equipped with sofas and coffee table. Simple and cosy furnishing, soft colours and fine materials all go to produce a stylish ambience. 15% reduction for bookings confirmed at least 30 days before the arrival. Easter and Spring Special! 25% discount for stays between April 18th and May 31st 2019.